Here comes the Sun, in all its terrifying glory. New up-close-and-personal shots from the Atacama Large Millimetre/Millimetre Array (ALMA) in Chile reveal a very large sunspot that looks remarkably like the Eye of Sauron. According to the European Southern Observatory (ESO), ALMA used radio interferometry to create the images, meaning it used antennas to receive radio waves from the Sun. 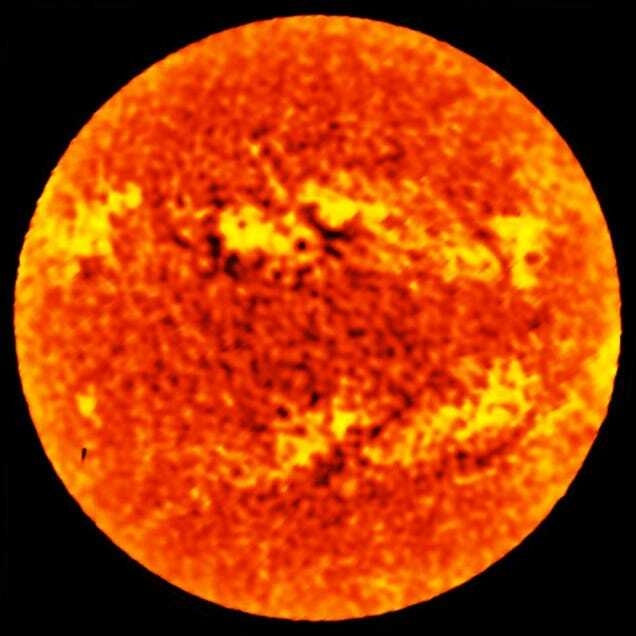 Sunspots are oases of (relative) coolness on the Sun’s visible surface, called the photosphere. 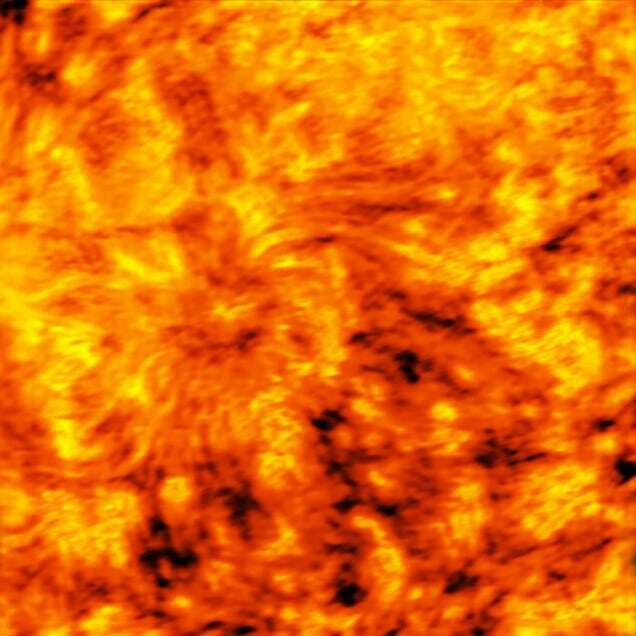 While sunspots are often pretty large, this one captured by ALMA could fit roughly two Earths in it. It’s a monster. It’s also rather pretty, in a chaotic way.